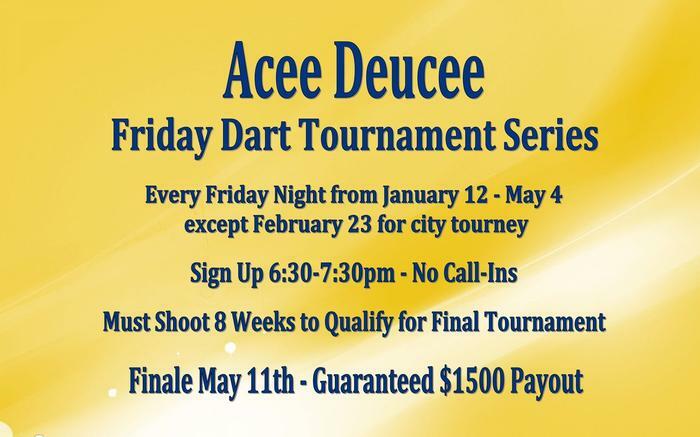 Friday Dart Tournament Series with cash added. Every Friday starting January 12th though May 4th (except Feb 23 for City). 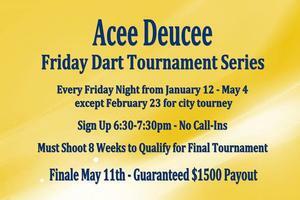 Final Tournament May 11th with guaranteed $1500 payout. Must shoot 8 weeks to qualify for the final tournament. Next tournament series starts in Fall of 2018.